I've always been a fan of accessories, especially statement pieces however, my taste lately has diverted to more minimalist, delicate pieces. Buckley London is a brand I've been aware of for many years, with both my mam and nana purchasing various pieces from their range. Developed in 1989 by Adrian Buckley, they have become an award winning jewellery brand winning 'Best Costume Jewellery' four times at the UK Jewellery Awards and rightly so, offering high quality pieces at affordable prices. 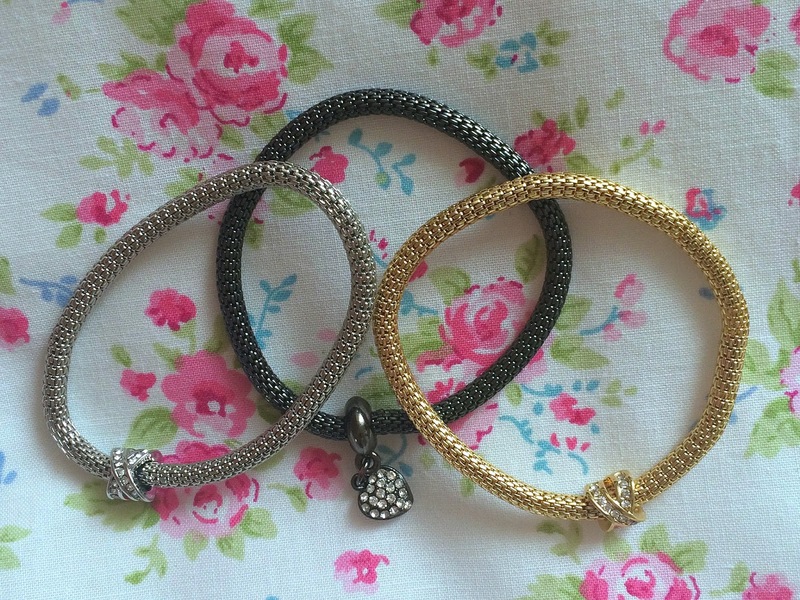 First up are these lovely mesh bracelets* which come in a trio. I received a black, a gold and a silver each of which have a small charm on them. They can be worn altogether, which is what I like to do as I like the look of different metals together, or singularly for a more simple look. Although made from mesh, these bracelets are extremely well made and great quality making them look more expensive than they are. The fact they're made from mesh also means they will fit just about anyone as they stretch quite well. At £24.99 these would make lovely gift and I really like the fact you can't choose what you're getting, making it a little bit more exciting! 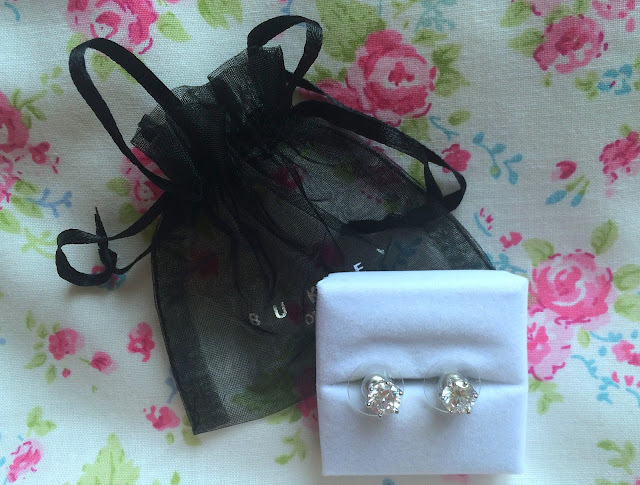 Next up are these stunning One Carat Stud Earrings* although, very simple looking, they are truly beautiful and even with my long hair, can still be seen clearly in my ears. When the light hits them, they have a gorgeous glint to them. They're a lovely piece for everyday wear and even suitable for an elegant look on an evening as they compliment numerous outfits. Like the bracelets, they are super affordable at only £25 but look much more expensive. 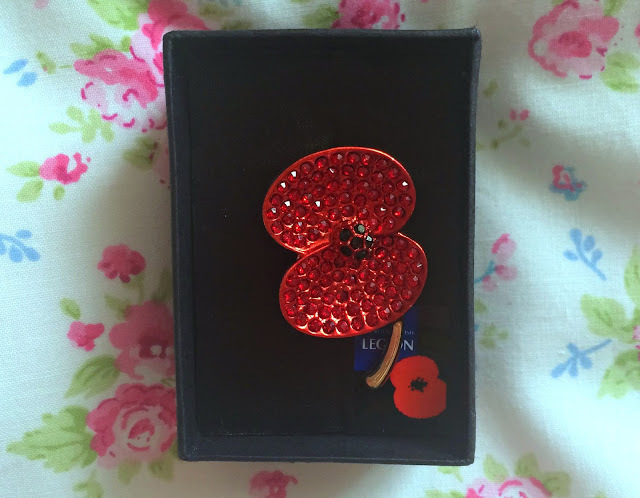 Finally, is this beautiful Jewelled Poppy Brooch* created in aid of The Royal British Legion and Poppy Scotland and has been seen on the likes of Strictly Come Dancing and The X Factor. As an avid supporter of these charities, Buckley London designed this stunning crystal brooch to compliment any outfit whilst showing support. What's even better is a minimum of £3.33 from each Poppy sold goes to The Royal British Legion. I absolutely love these items and can't wait to get more wear out of them. 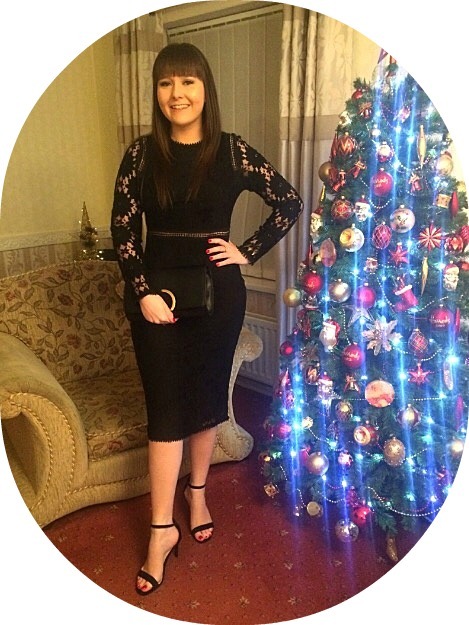 Have you bought anything from Buckley London before? Those bracelets are gorgeous! love the gold and dark silver together!